The #SoleToday Top Ten is back again for another round of the best sneakers of the week on Instagram. Welcome to another edition of the #SoleToday Top 10 where we take a look at the ten best on-foot sneaker shots from Instagram. This week holds both Valentine's Day and the NBA All-Star Weekend, which are both represented in this week's picks with both red kicks for V-Day and some of your All-Star sneaker favorites from years past. Check out all of the Top Ten below, and remember to tag your daily kicks with #SoleToday for a chance to be in next week's picks. What's your favorite pair of the week? 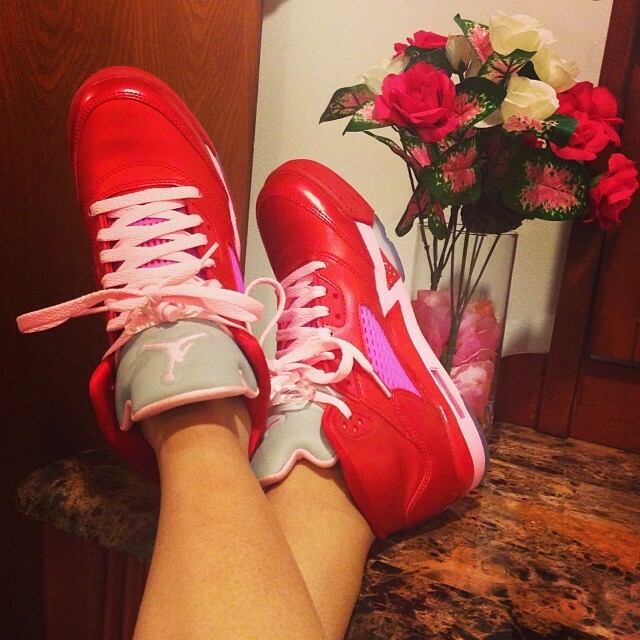 @shugaray -- Nike Zoom LeBron II "All Star"
bigbadwolfff -- Air Jordan 5 Retro "Valentine's"